Starting out your new life as newlyweds mean blending your worlds together — and that includes your finances. Talking about your finances may not be the most romantic topic of conversation, but it is an important one to have. Even if you already lived together before getting married, how you manage your money will change after you become legal partners. As soon as you get engaged, it’s a good idea to decide how you’ll spend, save, and pay down your debts as a couple. These money matters may be awkward to talk about at first but doing so will improve your communication skills and prevent any money misunderstandings in the future. Don’t let your money matters put a damper on your big day. Here are 8 pieces of marriage advice to keep your finances in order after you tie the knot. A 2017 survey found that, of the 3,010 participants, 68% claimed they would rather tell their spouse how much they weigh than reveal the dollar amount in their savings account. If nothing else, this survey proves that talking about money is awkward, even with someone you love. Talking about your family’s history with money is a great way to open up the conversation about your marriage finances. Revealing how your parents handled money, what you learned from their financial resume, and how they taught you to save or spend can be helpful information for couples. Some marriage advice to consider regarding your financial management is whether or not you will have shared or separate bank accounts. There are pros and cons to both. If you choose to keep your bank accounts separate, you will have to pay special attention to budgeting and separating bills between the two of you. Otherwise, your financial management will continue on as normal. Choosing to have a shared bank account means both of you will have access to and contribute to one bank account. This makes life easier when it comes to becoming homeowners and paying bills. It’s also simpler to keep track of spending when you’re working with one account. Disadvantages of a shared account occur when one spouse is less careful than the other about making purchases or frequently overspends. Once you are married and living together you will need to create a monthly household budget. Determine your shared monthly income. Next, make a list of your expenses such as monthly bills, entertainment, mortgage, insurance, as well as loans and other debts. Once you have studied this list, cut out non-essential expenses. Having a budget will give you both a better understanding of how much you need to bring in monthly and will help you tackle debts and avoid overspending. Your marriage finances should not be swept under the rug. Circumstances are bound to change at various points in your married life. Make it a habit to review your finances on a monthly or bi-monthly basis to ensure you are staying true to your household budget. One piece of marriage advice that works for all aspects of your relationship is this: be honest with your spouse. This is especially true when it comes to talking about money. You wouldn’t want to exaggerate your income, nor would you want to lie about the amount of debt you have. Many find debt embarrassing, but the truth is that most people have debt at some point in their lives. This might be student loans, credit card debt, a mortgage, or a car loan. Whatever the case, let your partner know about any money you owe prior to getting married. Once you have openly discussed any debts you may have, make it your goal to settle them as a couple. 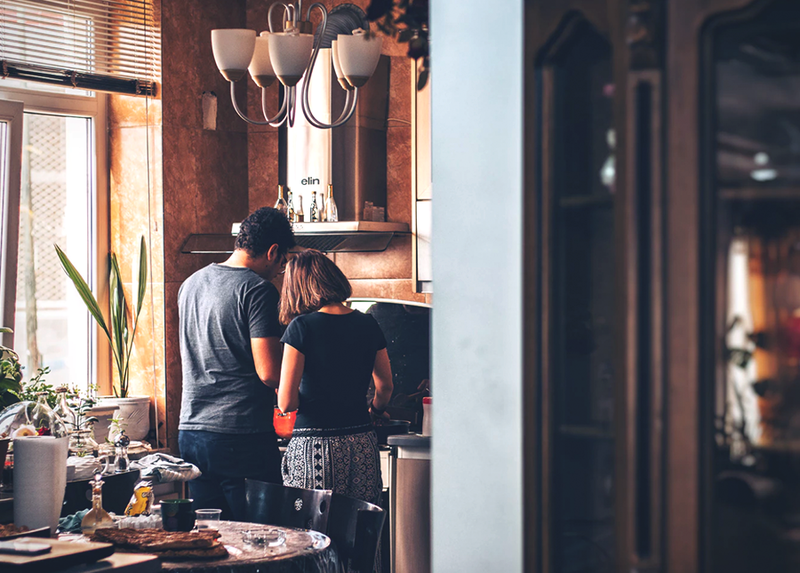 You may not feel like it is your responsibility to pay off debt that your spouse accumulated before you were a couple, however, remember their debt may make it harder for you to get a loan or buy a home together. Furthermore, once they are connected to your bank account, you officially become liable for any debt they incur in the marriage. You can reduce debt faster if you do it together. You will never regret starting an emergency fund after marriage. This locked savings account is a great way to put cash aside for emergencies or unexpected occasions. For example: if you lose your job, if you are suddenly expecting a baby, if the roof leaks, the car breaks down, and the list goes on. Set up a savings account in both of your names and either set up an automatic transfer through your online bank app or take turns putting money into the account on a monthly basis. An emergency fund will slowly grow over time and give you peace of mind, should any unexpected problem arise. In a survey of millennial versus baby boomer spending habits, results revealed that the top source of conflict regarding marriage finances was overspending. Overspending can rack up debt, cause mistrust between partners, and shows a lack of respect within the marriage. Avoid these relationship issues by consulting your partner before making big purchases and being open and honest about your spending habits. Retirement is going to be a big part of your marriage. This is the time where you relax, kick up your feet, and start spending some real quality time together. You can plan for retirement by putting money away into a savings account on a monthly basis. You can also talk to your bank about investing your money or contributing to an RRSP. Limiting unnecessary spending and budgeting accordingly throughout your working life are also great suggestions for retirement planning. Some of the best marriage advice you can follow is to always be honest about your debts, income, and budgeting history. Marriage finances are a tricky topic, but it’s important that you discuss them regularly with your partner.